Suffering and evil–why does it exist? More importantly, how do we account for it as believers, people who say there is an all-powerful, all-loving, all-knowing God? The problem of suffering and evil is one of, if not, the largest problems of the Christian faith/worldview. Yet here we sit, as Christians, believing in an all-good, all-loving, all-powerful God. How? Maybe a better question to ask is, “Why?” It is in these times that confusion often reigns. We want to have confidence in God…but how? How can Christians go from confusion to confidence? We go from confusion to confidence by understanding the sovereignty of God and the three truths it involves. In this series of posts, the Old Testament prophet Habakkuk will be our guide, leading us from confusion to confidence by helping us understand God’s sovereignty. The first truth Habakkuk leads us to understand is “Who we Are“. The second truth, Habakkuk lead us to understand is “What Confusion We Face“. Today, Habakkuk will lead us to understand “Where Our Confidence Must Be Found”. Throughout chapter 2, Habakkuk’s frustration turns to favor, his irritation turns to indulgence, and his confusion turns to confidence. How does this happen? What is the hinge upon which this confidence door opens for Habakkuk? Faith! Trust! Belief! Habakkuk goes from confusion to confidence by living by faith. Habakkuk 2:4 tells us that it is faith that changes life for Habakkuk. Faith changes his outlook. Faith changes his actions and attitude. And faith is something we all live by everyday. We all operate by faith every day. Think about the very seat you are in right now. Did you test it before sitting down? Did you check out its structural integrity prior to being seated? No! You just had faith that it would hold you. What about the car you got in this morning? 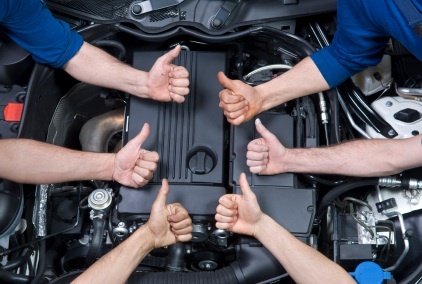 Did you do a 97 point diagnostic check prior to getting in and starting the vehicle? Not likely. Most likely you were just happy you got yourself in the car and got where you needed to go, amazed at the fact you were only 5-10 minutes late. You had faith in that car without even thinking about it. We all live by faith every day of our lives. Faith in the material. Faith in people. Faith in something. Faith is the avenue through which Habakkuk finds his confidence. Habakkuk’s faith is seated in someone but focused on the future. His faith is for a positive future (Habakkuk 2:4). God tells Habakkuk that in the future God’s glory will fill the earth. This is the same future-oriented faith the author of Hebrews has (Hebrews 10:35-39). Habakkuk has faith that, in the future, the glory of the LORD will win out. He has faith that God’s purposes will be accomplished. Habakkuk has faith. But Habakkuk’s confidence does not rest in his faith, but rather in the object of his faith. Habakkuk’s faith rests in the person and character of God. His faith is in the LORD who is sovereign (Habakkuk 2:20). Habakkuk recognizes that God is in His temple. God is on His throne. God was and is in control. Habakkuk goes from confusion to confidence because he lives by faith that the LORD is sovereign. What about you and I? Do we live by faith that God is sovereign? 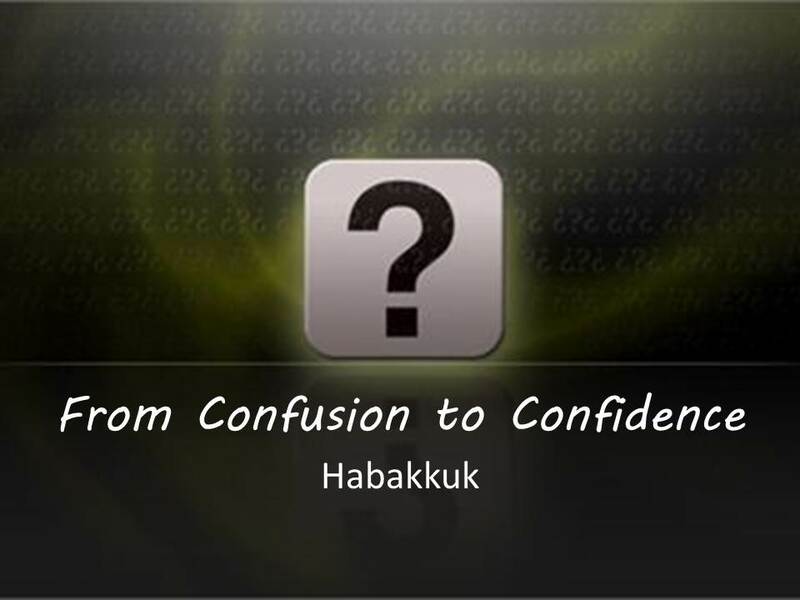 As we lived vicariously through Habakkuk we saw how we can go from confusion to confidence. Habakkuk is a wrestler and embracer. He is confused, but becomes confident. He is an example for us. But there is a greater example. There is someone else who came and lived vicariously for us. Jesus came and wrestled sin for us, so that we could fully and freely embrace Him. Jesus came into the confusion of this world, so that we may be confident in Him. Jesus came so that we may live confidently in the confusion. All it requires is faith in God. Do you trust God? Do you believe that Jesus came suffered, bled, and died in your place on a cross for your sin, and that He conquered death and sin by proof of His resurrection from the dead? Are you living by faith in God’s control today?